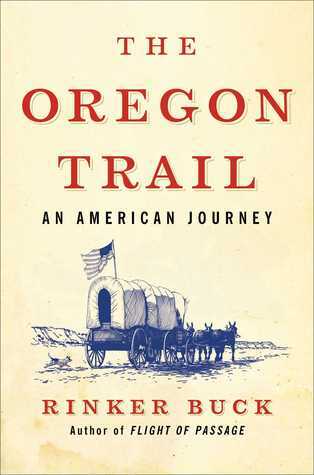 Buck is a journalist and author who replicated (to the extent possible in modern times) the covered wagon crossing of the old Oregon Trail, much of which still contains the original wagon ruts. A creature of the Pacific Northwest myself, I thought I had the whole Oregon Trail story down cold, but I learned a lot from Buck’s wonderful memoir, which threads his own experience with the historical information he gleaned from a variety of sources into a fluent, fascinating, accessible yet hyper-literate narrative. My great thanks go to Simon and Schuster and Net Galley for the ARC. The book will be available to the public in August of this year. The germ of Buck’s idea to travel the old Oregon Trail in a covered wagon came from a favorite childhood experience. Buck’s father took his large family on a covered wagon vacation during the late 1950’s. They traveled in New Jersey and Pennsylvania, and it is one of the author’s fondest memories. His brother Nick, who sounds like a real character, decided to join him on this adventure, and their skills complemented each other wonderfully in most instances, with Rinker having done a great deal of research and put up the considerable sum it took to buy the wagon, the mules, and so forth, and Nick having a wealth of eclectic knowledge about covered wagons and mules as well as tremendous mechanical aptitude in general. Our author is one hell of a writer. His down to earth metaphors made his story accessible for modern people. For example, he says that the Conestoga wagon was the semi truck of the mid-1800s while the prairie wagon used by most families, which was made by Sears Roebuck, Studebaker, and John Deere, were more like the station wagon. The whole narrative is peppered with this sort of figurative language, and it’s both amusing and helpful. And I loved seeing the ways in which the problems of the early pioneers often became his problems also, sometimes in ways that would have halted an ordinary traveler right then and there. But Rinker and his brother are serious badasses, and they kept on going. Think for a moment how high up the driver’s seat on a covered wagon is, for example, and how immensely soporific the repetitive clopping of hooves are on a very warm spring day. There is no safety belt; there is nothing whatsoever to keep a man from falling off and being crushed beneath the wagon. Narcissa Whitman, one of the early settlers who together with her husband, founded the Whitman mission in Eastern Washington (part then of the Oregon Territory) made the trip on horseback. But she had no safety belt either. The Mormons, or Latter Day Saints, did a whole lot of it on foot and pushing carts; those that lived through the experience populated Utah. But I agree with Buck that Devil’s Gate was not solely part of the Mormon experience, and President Bush had no business turning federal park lands over to the LDS Church. Frankly, it steams my clams all over again just writing about it…moving on. I also have one small bone to pick with Buck’s research, though it isn’t enough to lop a star off my rating: he says that the 400,000 pioneers that crossed the Oregon Trail was the greatest overland migration in history. To be fair, when he wrote this, it was widely accepted as truth. But in 2010, Isabel Wilkerson documented an overland migration of 6 million African-Americans from the South to Northern Industrial cities and also to California between 1915 and 1970. The Oregon Trail, then, may be the second largest, but not the largest. I also might have liked to see a citation accompany controversial facts tossed in, such as the claim that it was covered wagon makers, not Henry Ford, who started the mass assembly line. Generally I liked the flow of the text made possible by avoiding footnotes, but if one is going to butcher a sacred cow, one should back the assertion with a source. But all these things are minor compared to the value, both in education and entertainment provided by the story of the Rinker brothers’ modern day reenactment, which is nothing short of spellbinding. I had just begun it when I came down with a case of flu, and I can’t tell you how comforting it was to curl up under my covers with my glass of orange juice and this book and immerse myself in their journey, which commenced in Missouri and like the original pioneers, continued across six states. And although I have never done the trail itself (and if I were to do so, I’d be one of the Winnebago set that made him half-crazy with their giant rigs that spooked the mules and their never-ending cameras winking at him and blocking his way), I have driven through all of the states he crossed through except Kansas. It was useful to have traveled through most of the region that Buck described, yet his descriptions were so palpable that I think even if you have never been there and never plan to, you will see much of it in your mind’s eye. I’m not sure what is the most remarkable part of this wonderful memoir: the novel aspect of the covered wagon trip during the 21st century, or Rinker’s voice, which switches seamlessly from that of historian, to that of family member with family issues, to that of the humorist who can appreciate life’s ironies even in adverse circumstances. All I know is that you don’t want to miss out on this one. What a terrific story!